Dear Blue Bird: The following analysis is based on your selections. If you feel that this is inaccurate, please retake the test and select answers that are more applicable to your personality. You shop only when necessary, and rarely use credit cards. People think you are a miser or a cheapskate. You like the fine things of life but you are not excessive or extravagant. You are not easily swayed by the latest trends in fashion or luxury items, instead you mostly get a ‘high’ from looking at your healthy bank statement balance, which you consider as a guarantee of financial security. 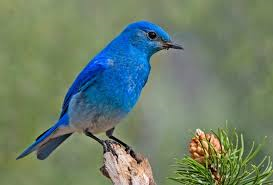 Most of you blue birds try to maintain a budget, set financial goals and believe you are in control of your financial situation. You tend to be a little hard on yourself stray a bit from your financial plans. Although you save money, your investment habit is largely dictated by fear, you are risk averse when it comes to investing because you would hate to lose your hard earned money in a stock market crash, burst in the housing bubble or types of failed ventures, so you would rather keep your money in relatively safe assets. Your biggest fears include being broke and in debt. Relax your grip blue! You will not get rich by keeping your money idle in the bank or under your pillow. You should seriously consider investing more of your savings outside your usual comfort zone in order to create more wealth and financial security, especially if you are relatively young. As long as you review investment options carefully and seek advice from experts, you should be fine. You should also borrow a little leaf from your yellow friends by indulging from time to time, spend some extra on yourself and your loved ones. Trust me, you wont get hurt if you take a vacation, give charity or buy nicer clothes and cars with some of your money.